“He had so many prisons behind him”. Artur London, Czech International Brigader, on Michaelis’s death in 1990. 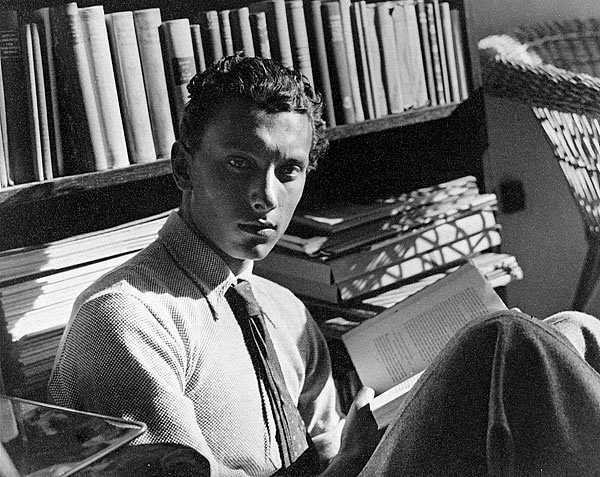 Rudolf Michaelis was born on 31st March 1907 in Leipzig, Germany. His mother died shortly after his birth and he was lived with a foster family for six years. In 1924 at the age of seventeen he joined the Anarchist Youth group of Leipzig and subsequently affiliated with the anarcho-syndicalist Freie Arbeiter Union Deutschland (FAUD, Free Workers Union of Germany). He became responsible for the FAUD’s cultural branch the Gilde Freiheitlicher Bücherfreunde (GFB, the Corporation of Libertarian Book Lovers) which he co-founded with fellow Leipziger Artur Holke in 1929 (see Holke’s biography here at libcom). By 1927 Michaelis had moved to Berlin. The following year he met the celebrated Spanish anarchists Francisco Ascaso and Buenaventura Durruti when they visited Berlin. He worked as an archaeological restorer in the Antiquities Department of Berlin State Museum. He undertook several trips abroad in relation to his job including a long stay in the Middle East between late 1931 and February 1932 when he was on an archaeological dig in Uruk in Iraq.In 1929 he met the anarchist photographer Margarethe Gross (see her biography here at libcom) and they established a relationship. In 1933 he secretly took part in a congress of the International Workers Association (IWA) in Amsterdam. He had friendly relations with the noted German anarcho-syndicalists Rudolf Rocker and Helmut Rüdiger. As a result of his anarchist activities and his refusal to recognise the Nazi authorities he was dismissed from his job and imprisoned by the Gestapo in 1933. The director of the museum, who had some influence with Hermann Goering, intervened on his behalf and he was released five weeks later. Margarethe had also suffered an arrest on a trumped up charge of book theft. They decided to flee Germany and moved to Barcelona in November-December 1933. In Barcelona Rudolf and Margarethe together with other German anarchist exiles formed the Gruppe Deutsche Anarcho-Syndikalisten (DAS, German Anarcho-Syndicalists). However life was tough for the couple, and under the pressures of poverty and harassment from the authorities, they separated in 1934. Rudolf obtained a job at the Archaeological Museum of Barcelona and joined the CNT. With the outbreak of the revolution Rudolf joined the German anarchist unit Centuria Erich Mühsam (named after the anarchist murdered by the Nazis in 1934) which fought with the anarchist militia the Ascaso Column. He fought on the Huesca front between August and November 1936, operating as the Centuria’s delegate. Subsequently he operated in Barcelona. During the first days of the fighting in Barcelona against the attempted coup, the twenty members of the DAS, including Michaelis, had stormed the German Club, a Nazi bastion, where they captured a machine gun and other arms, which the Nazis had intended to use to help their allies, but also lists of Nazi members living in Spain. As a result, the DAS, working closely with the CNT and FAI, carried out a number of raids, paralyzing Nazi organisation in Spain. Between sixty to seventy flats and premises associated with the widespread network of German Nazi cells were confiscated by the DAS up until November 1937.Rudolf Michaelis played an important role in this activity. He was then appointed political delegate of the International Group of the Durruti Column until April 1937, when he replaced Elly Büchner (Elli Götze) as president of the DAS. After the May Days of 1937 Rudolf was captured by the Stalinists in Puerta del Angel, Barcelona and spent time in the prisons at Santa Ursula and Segorbe. At Santa Ursula he shared a cell with the German anarchist volunteer Helmut Kirschey. Conditions were bad and food was poor and in short supply. Security was lax at Santa Ursula and Michaelis was able to escape, informed the VCNT in Valencia about the plight of the German anarchists and then bizarrely returned to his cell and locked himself in, according to the reminiscences of Kirschey! He was subsequently freed in February 1938 and joined the Republican People’s Army (the now militarised armed forces of the Republic). He took Spanish nationality and fought on until the fall of the Republic in spring 1939. He crossed to France, but determined to carry out guerrilla activity in Spain, he returned to Spain in autumn of the same year. He was arrested at the border and subsequently sentenced to 30 years imprisonment. He was incarcerated at the Carabanchel prison in Madrid. There he was regularly tortured. He was released after five years and put under libertad vigilada (punitive parole) in Madrid. In 1946 he was repatriated to East Germany. He joined the Sozialistische Einheitspartei Deutschlands (SED, Unified Socialist Party of Germany) controlled by the Stalinists, with the illusion that he would be able to propagate anarchist ideas within it. He was appointed as managing director of the state museums in Berlin. Soon he was forced to write a denunciation of anarchism and in 1951 he was expelled from the SED. He then worked until his retirement in 1964 as an elementary school teacher in the Treptow district of East Berlin. In 1967 he was visited by Margarethe, who now lived in Australia, and they kept up a correspondence until 1975. Under a false name he attended a conference on the Spanish revolution in West Berlin. In 1989 a pamphlet under the false name of Hans Bronner was published detailing Michaelis’s memoirs of the German anarchist militia unit, Mit Der Centuria “Erich Mühsam” Vor Huesca ( With the Erich Mühsam Century Before Huesca. This re-appeared posthumously under his real name in 1995. Rudolf Michaelis had made many mistakes. He condoned the militarisation of the militias, and followed the official CNT-FAI line. He wrote in the 1970s that the German Democratic Republic was a “decisive step in German history”. He thought he could operate within the SED and as a result became its prisoner. He died on 28th November 1990.